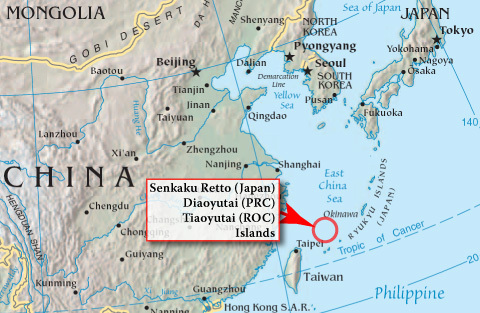 When I first studied in Hong Kong some 22 years ago, I remember learning about a dispute between China and Japan over a little patch of islands in the East China Sea. 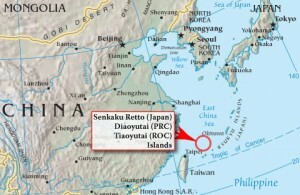 In Chinese, they’re known as the Diaoyu Islands, in Japanese the Senkaku. The dispute has never been resolved, and in fact has been ignited every few years. Guess what’s a hot topic in China now? Stuart Beaton, our man in Tianjin, reports about this current outcry. You can also catch Stuart on his fabulous author podcast site, http://rastous.podomatic.com. Everyone’s got their own pet hates. I personally loathe and despise people who won’t eat cheese, but that’s a long and complicated story, and not one I’m going to tell here in a hurry. Hatreds are formed for the strangest of reasons, and it’s an incredibly powerful emotion – one that is easily manipulated without a lot of real thought behind it. 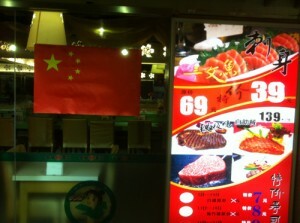 I can’t help noticing the current “Hate Japan” campaign underway here in China. It’s everywhere for a start off, so that makes it fairly difficult to miss, but I’m not too sure what the root of it actually is. We went to a wedding on Saturday, and I was cornered by a gentleman who was under the influence of way too much Bai Jiu, who started in on a long lecture (in Mandarin) about how “all you Americans are going to die when we reclaim those Islands from the Japanese” (I am deeply indebted to this idiot’s brother in law for the translation, and for his taking the idiot away before I could loop his testicles around his neck as a bowtie…). At one point, I reached into my pocket, fired up the Google Earth app (and not Apple Maps – now there’s another story of hate for later, too), and asked him to show me where the disputed islands are. Surprisingly, he couldn’t. I don’t think anyone in the room could. They’re that bloody small, they don’t really register well enough that you can stick your finger on a map easily to highlight them. But the unemployment rate in China can probably be seen from Outer Space. This whole campaign is a carefully orchestrated game of “Find The Lady”, the old three card trick designed to distract attention from a bigger issue. In a country where three people on a street corner can be classed as “an illegal gathering”, you can’t tell me that protests outside the Japanese Embassy are “spontaneous outpourings of emotion”… not when protesters are being bussed in, paid, told what to chant, and given the water bottles to throw. It’s gotten to where “Japanese” businesses are having to put up signs and flags pointing out that they’re in China. Even the businesses targeted as “Japanese” are strange choices. 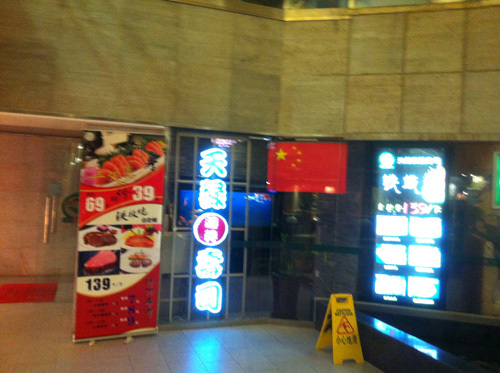 When we were out the other night for dinner, we strolled past several “Japanese” restaurants, none of which are actually owned by Japanese companies or even employ Japanese nationals. 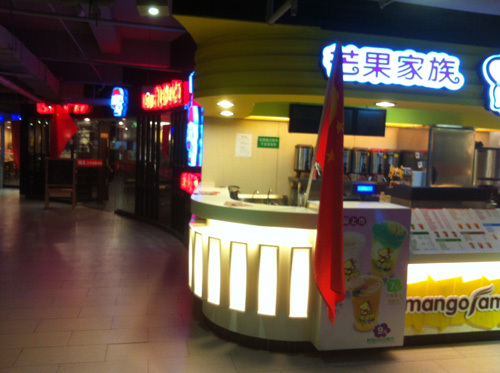 They’re all wholly owned Chinese franchises of a Japanese company, staffed by Chinese employees, paying taxes in China, and generating profit within China. An attack on such a company is only good for glaziers, and related trades, but ultimately creates unemployment and a downturn in revenue in China. Even the attacks on “Japanese” cars here are pointless – most are built with Chinese labour in Chinese factories, using Chinese raw materials. It’s just a case of cutting off one’s nose to spite one’s face, and it drives me clean around the bend. 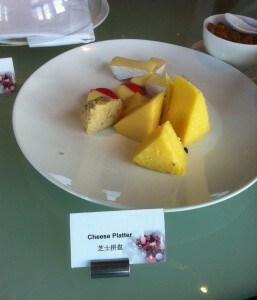 Perhaps the most depressing story I’ve been told this week though comes from a 15 year old New Zealand lass who lives with her family here in Tianjin. She’s an avid martial artist, and has taken up Tae Kwon Do because she can’t find a dojo in which to continue her Karate training. This week, when she went to her Tae Kwon Do class, she found that a new flag had been added to the range that normally decorated the school, but unlike the others, this one wasn’t on the wall. A crude Japanese flag had been painted on the floor in the doorway, so that anyone coming in and out of the school had to walk over it. She’s disgusted, not only at the insanity of being forced to trample the flag, but because it totally flies in the face of all the things she’s been taught about fairness in sport – that competition is personal, not a clash of nationalities. I’ve even had to stifle debate on the topic in my classes, simply because I’m sick of hearing the same ill thought out, badly worded, pre-prepared lines being spouted over and over. I just hate all this hatred. Wake me up when the focus changes to a real issue. You are the funniest hater I know, Stuart. Thanks for making me laugh and rip my hair out simultaneously. I love your perspective. Great points here!